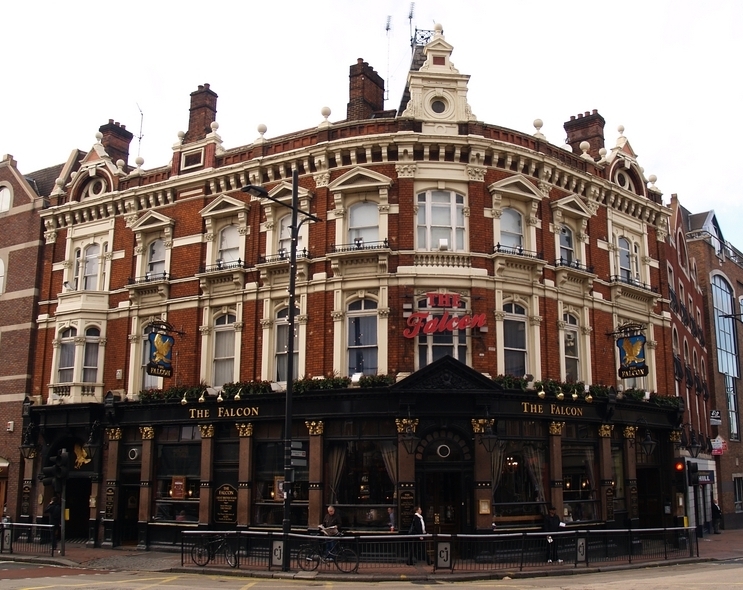 The Falcon’s source has two branches - one in the Streatham Hill area and the other from Tooting Bec Common and meet near the east side of Wandsworth Common flowing past Clapham Junction Station and enter the Thames at Battersea. The Streatham Hill The branch located just to the North of Streatham Hill Railway Station was originally known as the Hydeburn and the other (just to the South of the station) as the Woodbourne or Streatbourne. In the 17th Century the whole stream became known as the Falcon – the name derived from the Lords of Battersea Manor, the St Johns, whose family crest was a rising falcon. At the Thames the Falcon’s mouth was known as Battersea Creek and was only filled in during the late 20th Century. 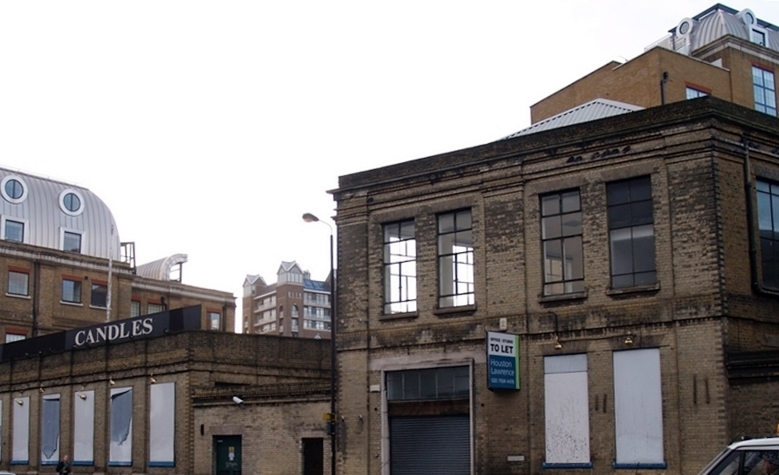 Battersea Creek was used as a dock for the Price’s Candle Factory built in the early19th Century in York Road. Price’s were once the largest maker of candles in the world and still supply candles for many Royal State occasions (from their factories which were relocated outside of London in the late 1990’s). The candle factory replaced a late medieval moated house which was built by the Bishop of Durham in 1474. It was later given to the Archbishop of York. A few of the factory buildings remain to this day and one is a shop selling candles. In this shop there is a photograph displayed on the wall showing the factory and the Creek in its heyday. These days the Falcon Brook is underground along its entire length. 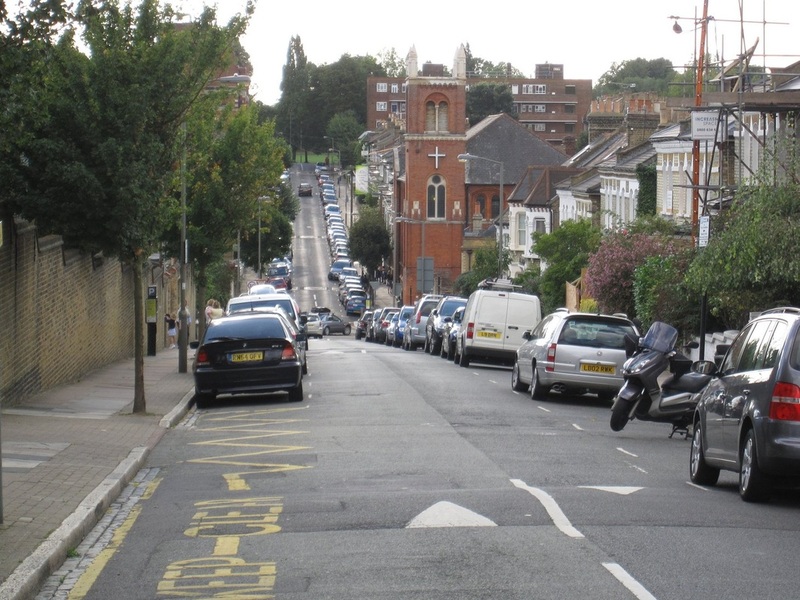 However, in 2007 it burst out of the pavement in several places and flooded the Falcon Road near Clapham Junction station causing havoc in the vicinity. Walking along present day Northcote & Falcon Roads it is easy to imagine a river running through this valley. The adjacent Falcon Inn, originally positioned on the banks of the brook has been the site of a pub for over 300 years. At the beginning of the 19th Century the landlord was a man named Robert Death and at this time many undertakers drank here on their return from the burial ground. In the British Museum there is a painting of the Falcon Inn by John Nixon entitled “Drinking at Death’s door” depicting drunken undertakers dancing in front of the Inn. Allegedly, street lamps were later positioned close to the water’s edge as passers-by were prone to fall into the Falcon Brook after departing the pub at closing time. The Falcon was covered as a sewer in the 1860’s. The rather unremarkable looking Falconbrook Pumping Station can be seen in York Road and handles storm water when the sewer becomes full and overflows into large pipes. The pumping station is used to lift flows to the nearby River Thames outfall. The Falcon Inn, originally positioned on the banks of the brook has been the site of a pub for over 300 years.